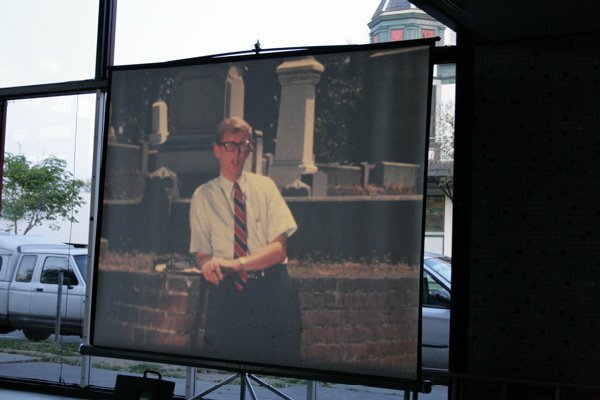 Last night there was a memorial for Bob Wilkins at 17th and I in that rad, all glass building on the corner. Despite the fact that it was a memorial the mood was light and warm. 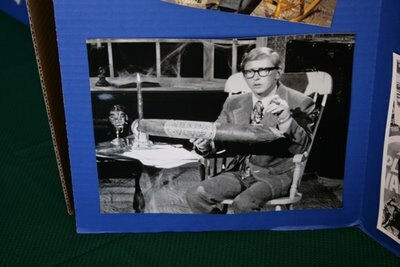 There was plenty of Wilkins memorabilia on display, Two-Rivers Cider flowed freely, and folks swapped anecdotes and stories either about knowing Wilkins personally or about the impact he had on their lives. It was a very pleasant evening as memorials go. Amongst the various friends and fans in attendance, Wilkins’ daughter Nancy was also there. 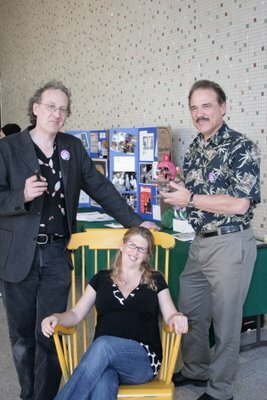 Pictured above are Scott Moon of Planet X magazine, Tom Wyrsch maker of the Wilkins’ documentary, Watch Horror Films: Keep America Strong, and seated in Wilkins’ chair is his daughter Nancy. At the end of the evening we got to watch rare footage of Wilkins interviewing the famous and the not so famous while tooling around various parts of Sac and San Francisco. What struck Tim and I most about the footage was the playfulness, and humor present in local broadcasting at that time. It was a very entertaining screening even for someone like me who is too young to have remembered watching Wilkins while growing up. 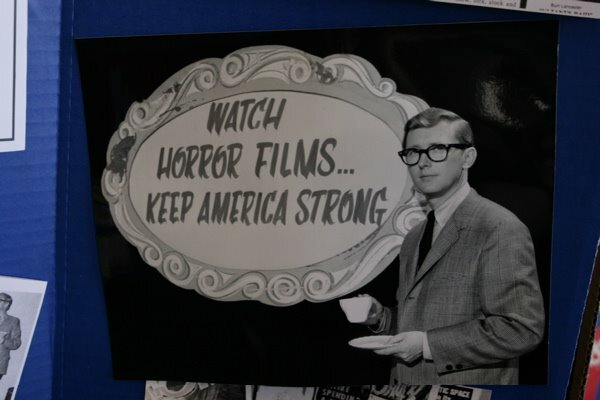 If you would like a chance to catch Wyrsch’s film, Watch Horror Films: Keep America Strong, it will be screening at the 24th Street theatre this Wed at 6:30pm as part of the Sacramento Film Festival. I highly recommend checking it out!